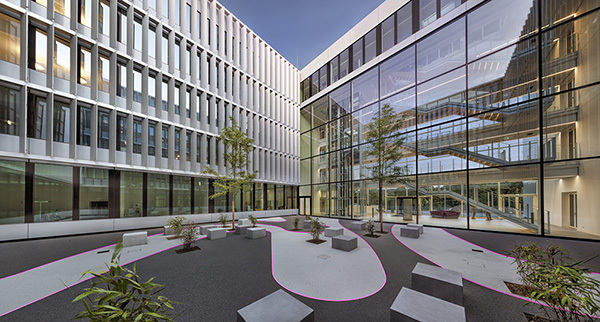 Enervie’s new headquarters in the Hassley district of Hagen went turnkey in May 2014. Sustainable energy management is the credo of the energy group that supplies Southern Westphalia with electricity and water. The wish to put this goal into practice at Enervie itself called for a new head office. The reason: The company’s administration and workshops were scattered over as many as nine locations in the city, which meant long journey times combined with high rental and operating costs. The new headquarters now brings all company divisions together in the one complex. 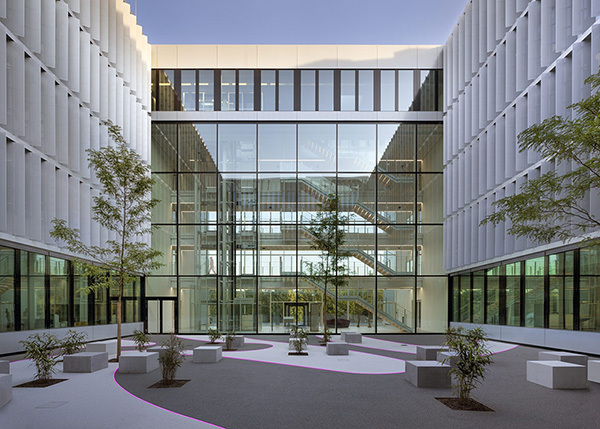 To this end, the architects at JSWD Architekten conceived a compound comprising several buildings, each of which is a different height. The wrap-around façade composed of vertical metal slats amalgamates the various structures into an ensemble with a uniform look and feel. The tallest cube houses the foyer and entrance to Enervie’s new four-story office building. Behind it are the workshops and an inspections office for meters and power switching stations, which are connected by a generous unbuilt space. In an effort to curb costs further, photovoltaic systems, solar thermal systems and small wind power plants were integrated into the new company headquarters, meaning that Enervie can now generate its own energy independently. 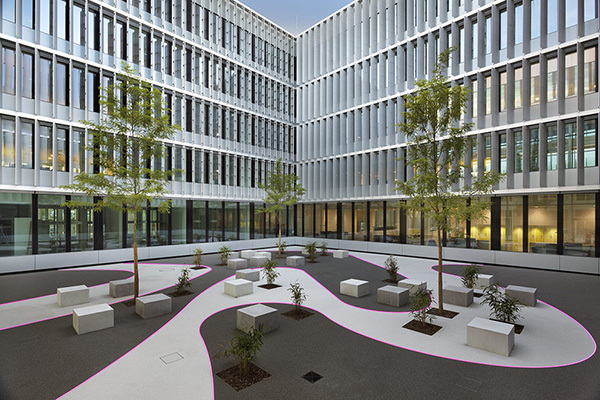 The elaborately designed courtyard is at the heart of the office building – a space for employees to meet and mingle, have their lunch hours and take short breaks. 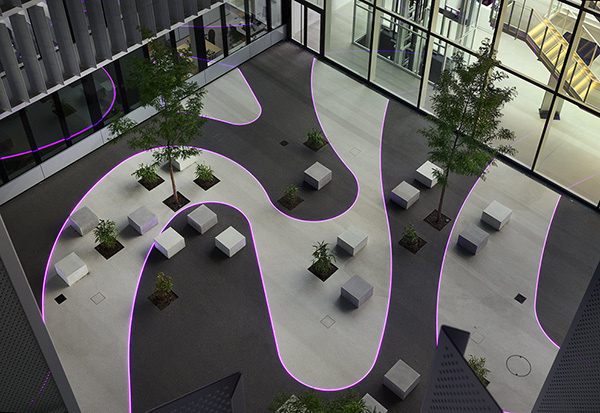 The ground in the courtyard is covered with two different materials that structure the area into various sections of sweeping shapes. Small seating cubes, trees and flowerbeds planted with bamboo make for leisure spaces. 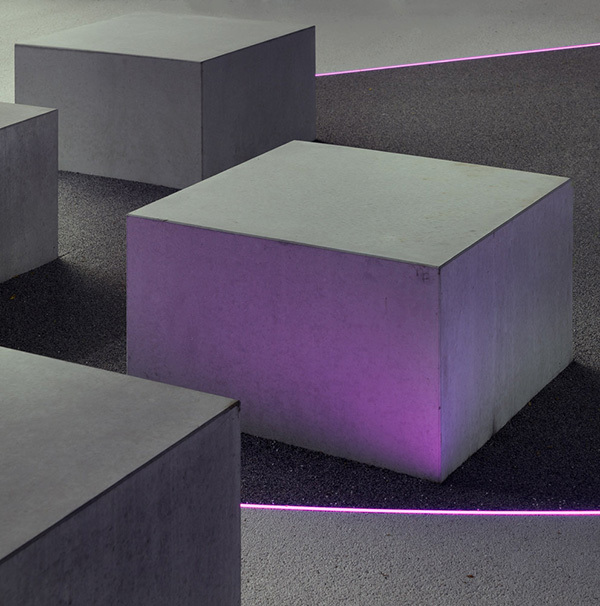 The international lighting design firm Licht Kunst Licht AG (Berlin/Bonn) led by Prof. Andreas Schulz opted for a highly sophisticated lighting concept that not only infuses the courtyard with atmospheric light, but doubles up as a route guidance system. TTC Timmler was commissioned with this particular task. 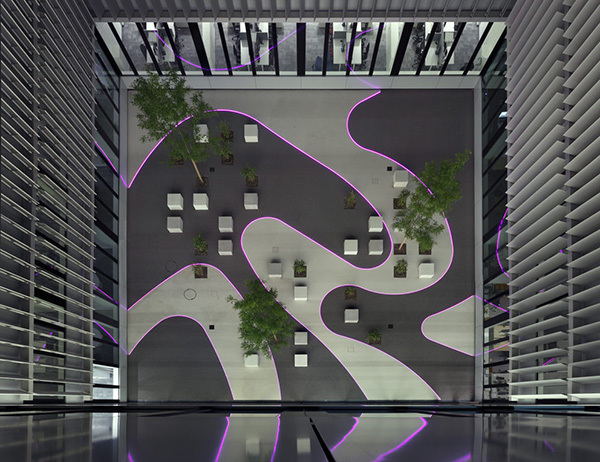 The firm installed 120 meters of flush LED light lines in between the different floor sections. The light lines are exceptionally durable to withstand the wear from the many feet walking on them. 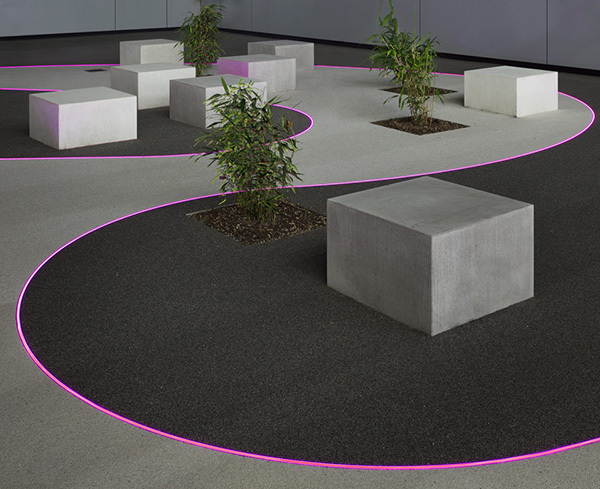 Emulating the curve of the different floor sections, they accentuate the dichromatic floor pattern even in darkness. 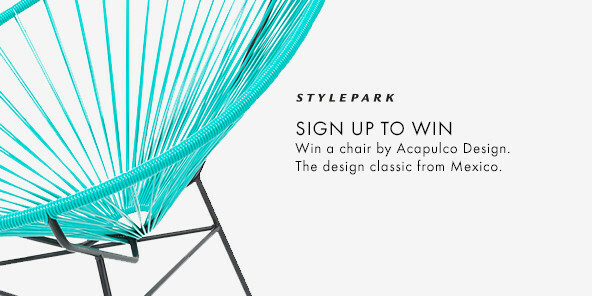 The differing radii of the lines did not pose a challenge with regard to installation. 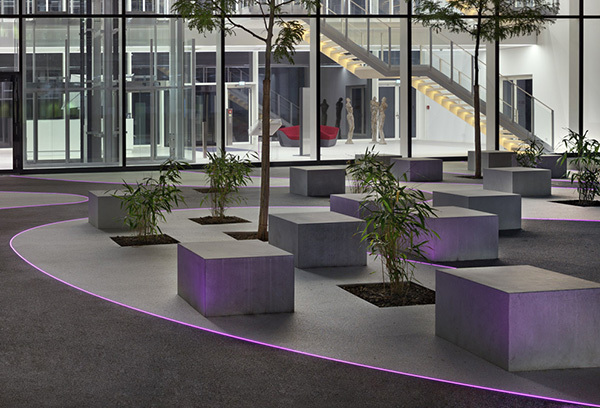 Now the LEDs bathe the centerpiece of the new Enervie headquarters in an atmospheric light, while using very little energy – perfectly in keeping with the client’s brief.